So who are these two young men? 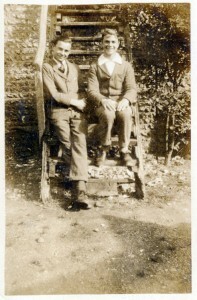 They are sitting on the steps leading down from the hay-loft into the yard at Findon Farm. 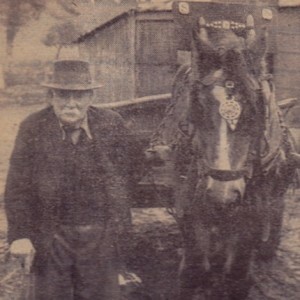 This photograph is in Ellen Short’s photograph album. 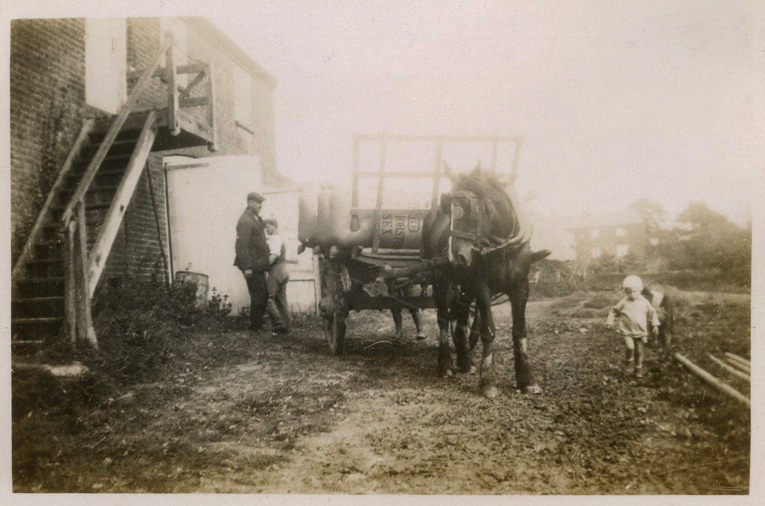 On the next page in her album are the photographs below of the horse pulling a cart. I studied the two photographs above for some time, carefully reading the text on the sack on the cart. I compared the markings of the horse with a photograph of ‘Diamond’, Albert Junior’s long time cart-horse. 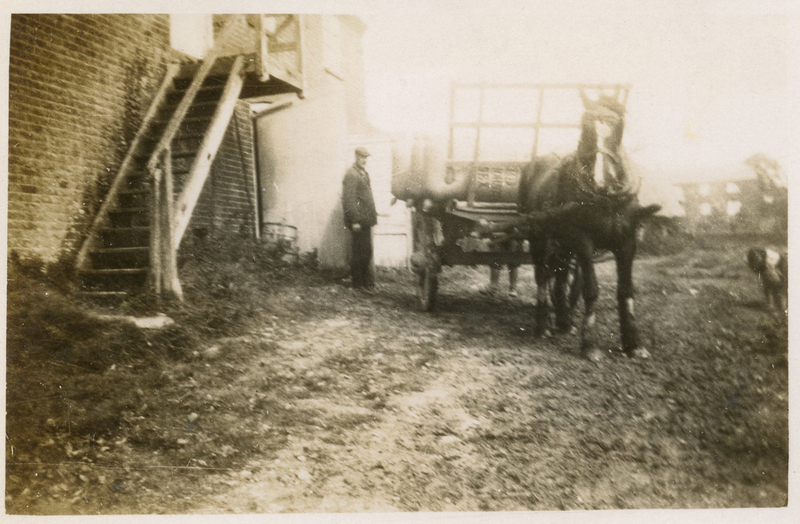 Although similar the tapering of the horse’s blaze on it’s nose is different. 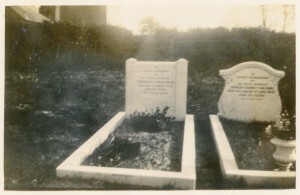 Also in Ellen Short’s album were these two photographs of headstones. The name is Curtis. 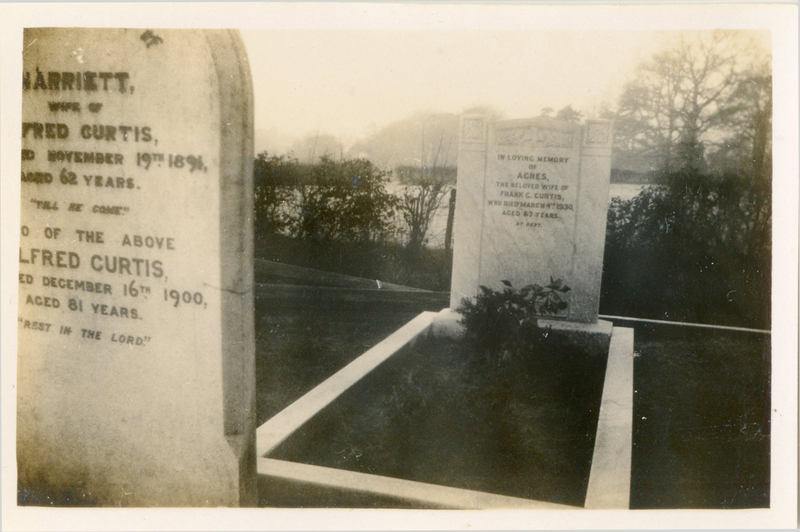 I didn’t recognise the name or the location. Why was Aunt Nellie taking photographs of headstones? I kept thinking how photographs can be a way of transporting information. 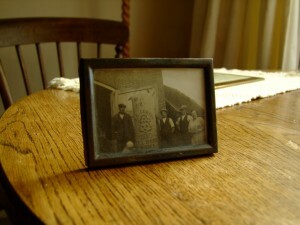 Had she been somewhere and brought back these images to show some-one they would be relevant to, but where had she been and to whom were these photographs relevant?